Now you can bring more reliable light to any jobsite. 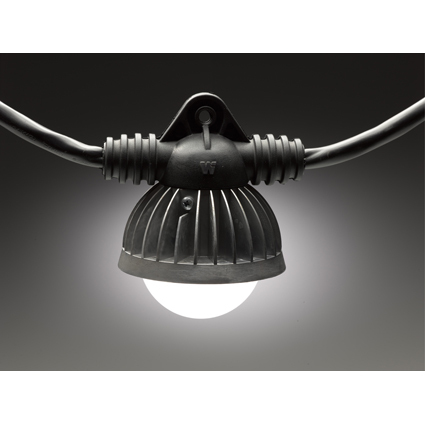 When your team’s safety and productivity depend on reliable lighting, count on Woodhead LED Stringlights. Their ultra-durable, anti-theft design reduces risk of breakage or incursion from water. Long-life LED technology uses significantly less energy than traditional lighting, lowering total cost of ownership.